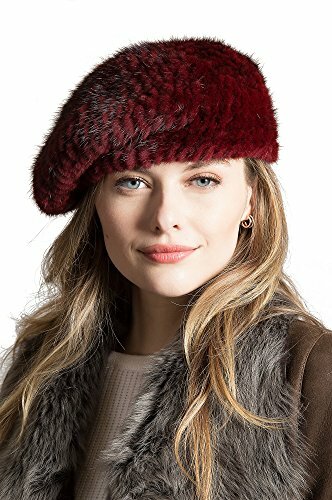 Straight, pulled forward, or tilted, our sophisticated and playful beret adds the personal touch to winter. Luxurious Danish mink fur brings textured contrast to a coat or cape. And the stretchy knit makes a snug, comfort fit that stays put on a windy day. This hat looks great indoors, and makes a superb gift. Knitted Danish Mink Fur. One Size: 11" flat diameter. Made in China.